I've seen this hairstyle on a magazine or a book sometime ago and thought I'd give it a try. 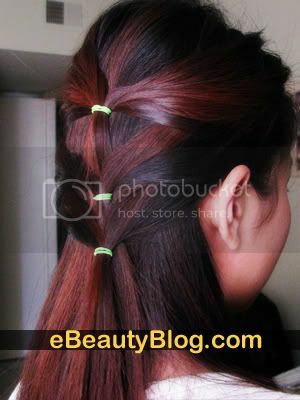 This is fairly simple and easy hairstyle to achieved. 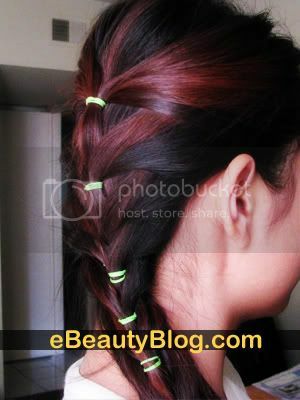 It looks like french braids in a way but with a modern twist. 1. 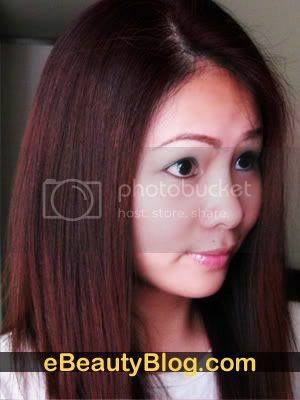 Side swept your hair to whichever side you're comfortable with. 2. 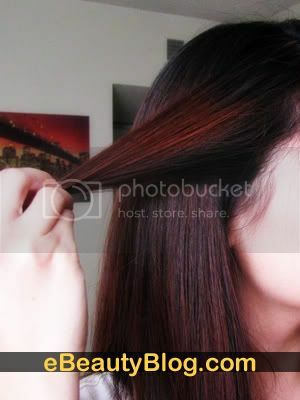 Take a small section of hair on both sides and pull it to the back. 3. 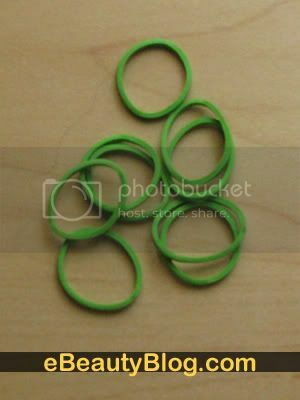 Use a colored rubber band to secure it. At this point, you have two choice, you can secure it straightly on the back of your head or you can pull it slightly to one side like how I did. 4. 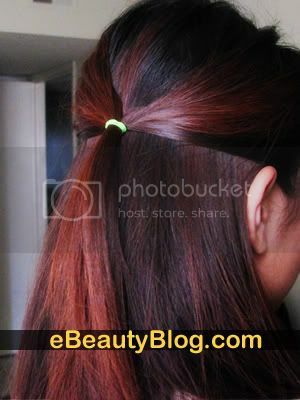 Continue take small section of your hair on both sides from where the ears is and secure it with a rubber band in the back or to the side. Have Fun & Good Luck trying out new looks like I always do!! !